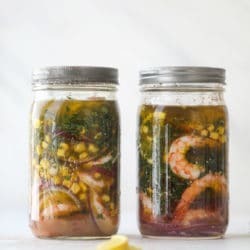 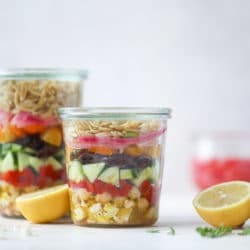 Greek Orzo Salad in a Jar. 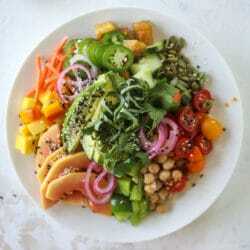 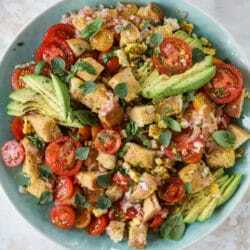 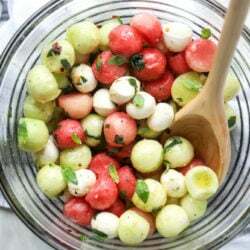 The Best Summer Panzanella Salad. 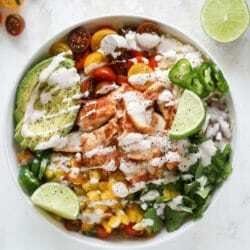 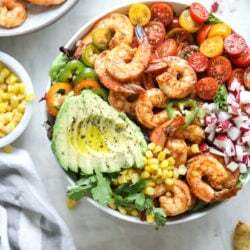 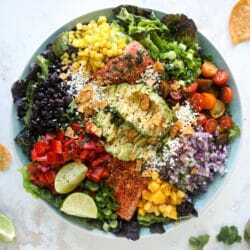 Spicy Fish Taco Bowls with Mango Pico. 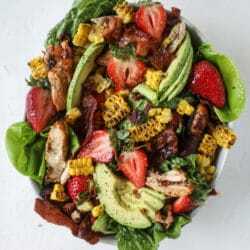 Grilled Chicken Strawberry Poppyseed Salad. 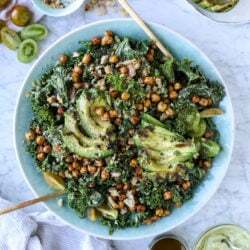 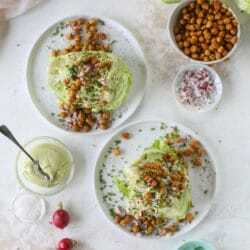 Crispy Chickpea Wedge Salads with Avocado Ranch. 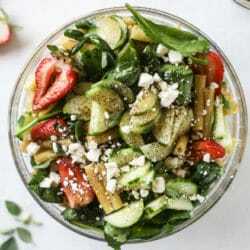 Black Pepper Balsamic Strawberry Pasta Salad. 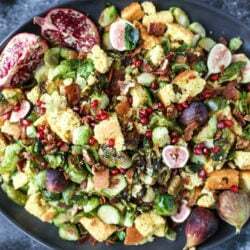 Friendsgiving 2017: Brussels Sprouts, Bacon and Cornbread Panzanella Salad. 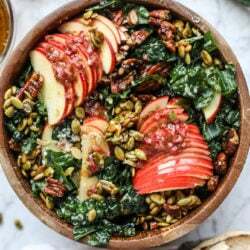 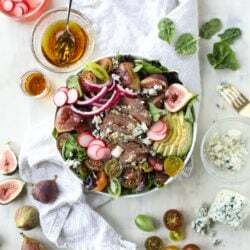 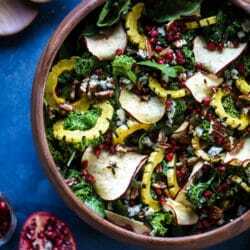 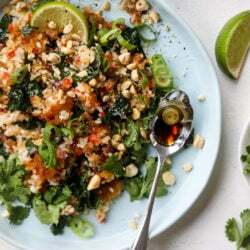 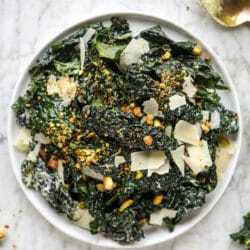 Nutty Harvest Honeycrisp Kale Salad. 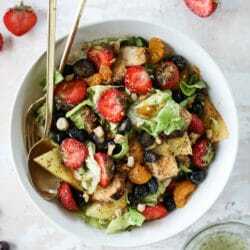 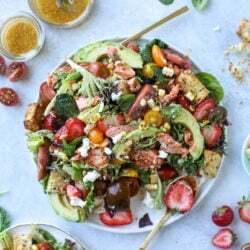 Summer Salmon Strawberry Panzanella Salad. 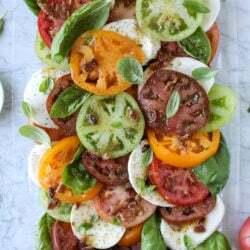 Hot Bacon Caprese Salad with Heirloom Tomatoes. 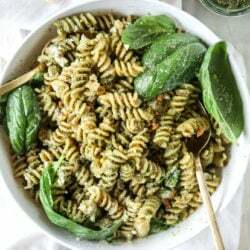 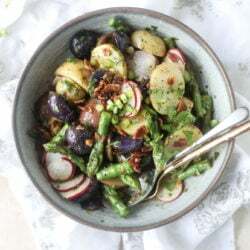 Pistachio Pesto Pasta Salad with Burrata. 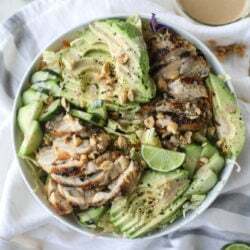 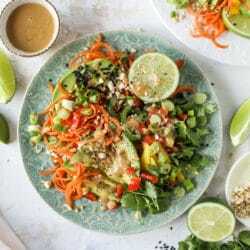 Chicken Avocado Salad with Peanut Dressing. 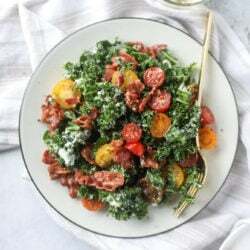 BLT Shredded Kale Salad with Greek Yogurt Ranch.